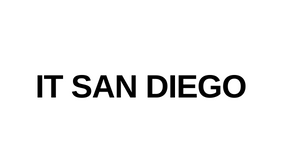 IT San Diego is simply a networking group specialized to remain local where IT professionals can interact with one another. Many users will find this useful when actively or passively seeking a new position and looking for employee of a certain company's opinion. A great place for IT employees and recruiters to meet and interact.